The insider's guide through the difficult terrain of Laruelle's most complete development of non-philosophyAnthony Paul Smith - co-translator of Principles of Non-Philosophy into English - provides an introduction and guide to Principles of Non-Philosophy that situates you amongst the figures and concepts Laruelle engaged with, giving you a foothold to understanding and, more importantly, use non-philosophy.Fran?ois Laruelle has been engaged in one of the most daring projects in contemporary philosophy, aiming to overturn the standard form of philosophy and renew its practice again. 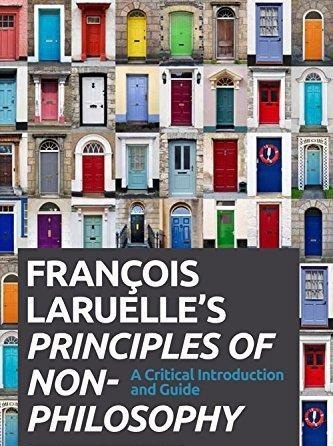 However, he grew dissatisfied with the purely critical form of his work as it seemed to simply subordinate philosophy to science and so simply reversed the old hierarchy.In Principles of Non-Philosophy Laruelle develops the concepts and method of a more democratic form of thought where neither science nor philosophy is subjected to one another, but brought together in a more productive theoretical and practical relationship. While the potential importance of this project is clear, Laruelle remains famously difficult.